Pre-emergent herbicides are applied throughout the year to prevent weeds from appearing in your lawn. Our lawn care crew will apply six applications in the winter, spring, summer and fall to combat common weeds such as crabgrass and broad-leaf. 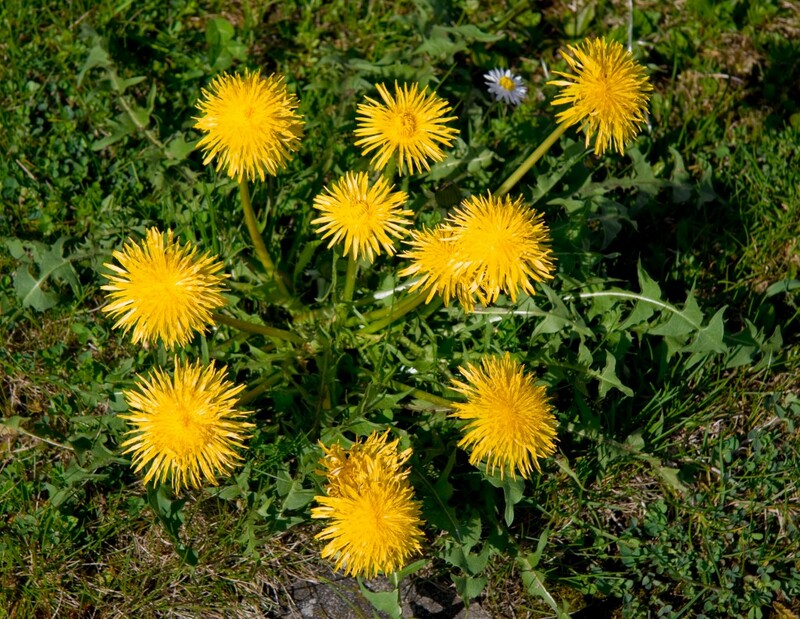 Don’t spend your time chasing down weeds with harsh chemicals. 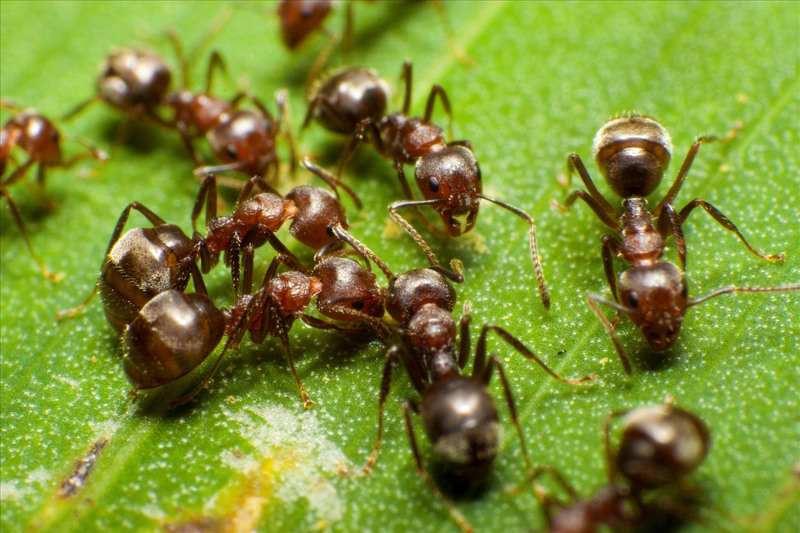 After all the hard work you’ve put into your lawn, why let it fall prey to insects? We have an effective solution to keep destructive insects out of your lawn for good. Whether it’s chinch bugs, grubs, ants or sod webworms, our insect control will make certain that insects get out and stay out. 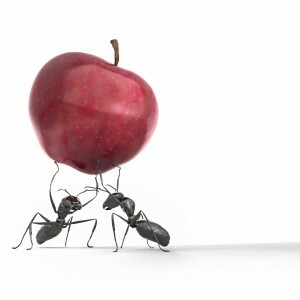 Call us to take care of all your insect control needs! 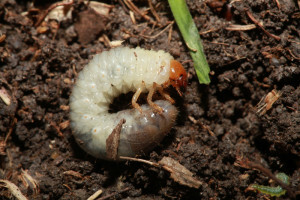 Grubs are “c”-shaped beetle larvae that hatch in the soil beneath your lawn. When they hatch in June, grubs feed on the roots of your grass and the grass itself. They also serve as food to other lawn pests such as moles, skunks, crows and blackbirds, which can also cause irreparable damage to your lawn. Let our technicians treat your lawn this summer with our top-notch grub control applications. 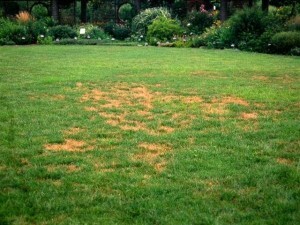 Notice dry, yellowish-brown spots popping up throughout your lawn? Chances are your turf has been affected by disease or fungus. 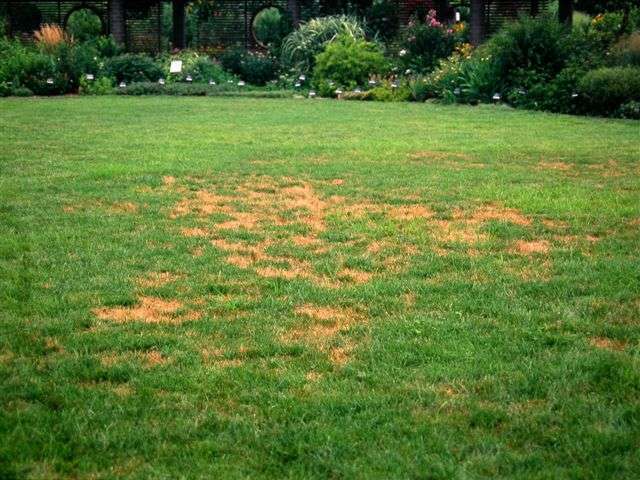 Our lawn care experts will do an assessment to see what might be ailing your lawn before recommending the best course of action to keep your turf disease- and fungus-free. Call us today for a free evaluation! In order to keep the chemistry of your soil in balance, we recommend lime applications. Our lime treatments help “sweeten” your soil in areas where it might naturally be “sour” or acidic. Lime can improve your lawn’s density and color, as well as help control thatch and increase root development. We generally recommend lime applications in the winter. Our aerifiers push through thatch or compacted layers in order to allow fertilizer, air and moisture to penetrate the roots beneath the soil. Aeration will rejuvenate your turf by allowing the roots to grow deeper. After the aeration process, we recommend overseeding during the fall to yield thicker grass with fewer weeds. If completed every 3-4 years, your lawn will stay thick and green, as well as resistant to disease. We use a machine to slice small holes into your soil while simultaneously inserting seed. This process will encourage healthier grass to grow with less weeds. Our lawn care experts will use just the right amount and kind of seed to help you achieve a healthier lawn this season. 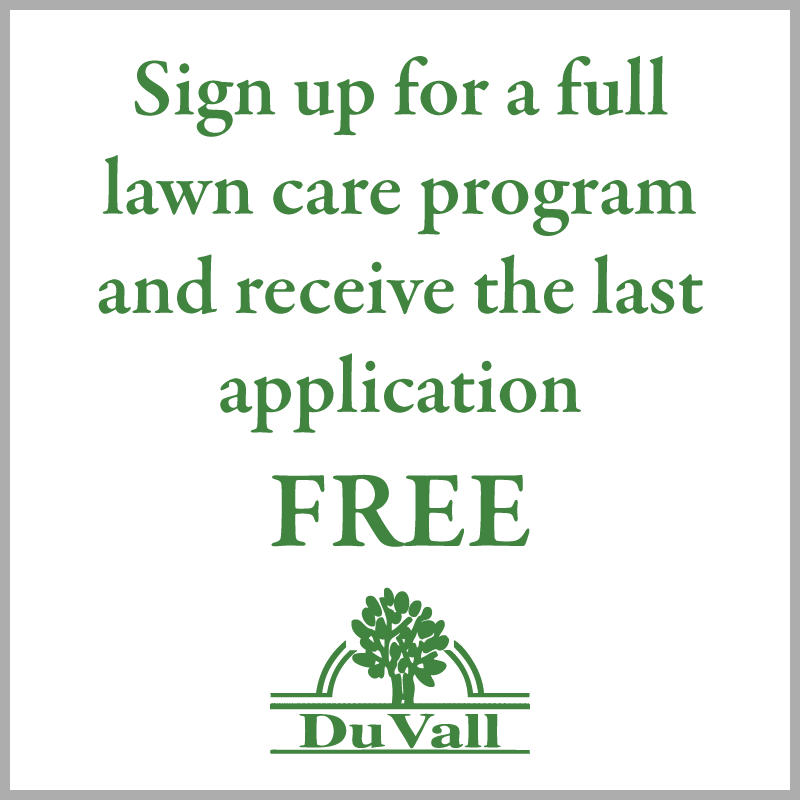 Call Duvall Lawn Care, Inc. today! 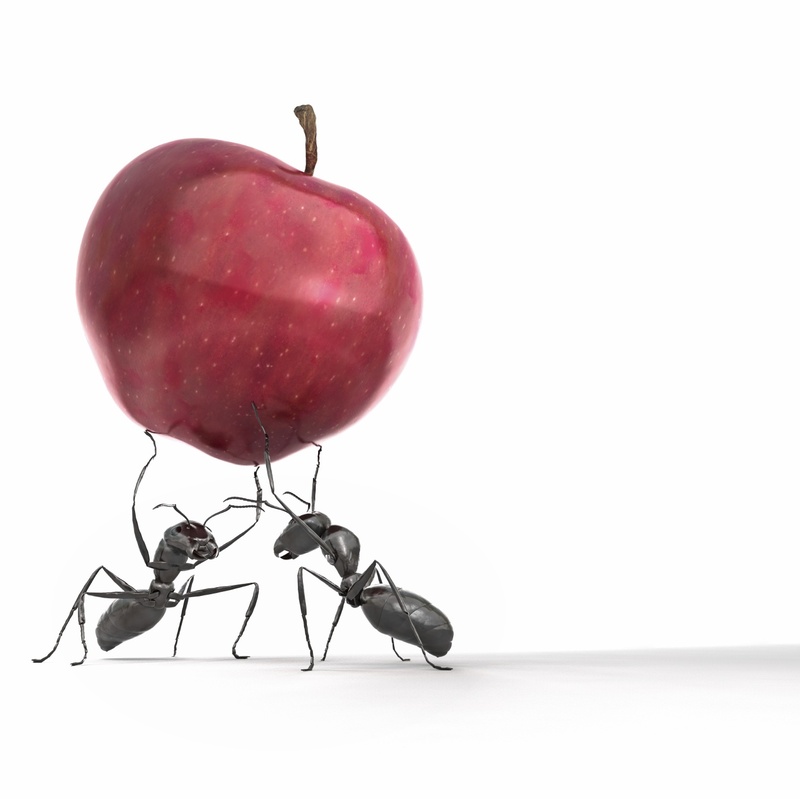 We offer a solution to stop nuisance insects before they enter your home. Our perimeter pest control program consists of four liquid applications in late spring, early summer, summer and early fall to establish an insecticide shield around your home. This will help combat infestations of fleas, ticks, ants, spiders, crickets, chiggers, wasps and more. 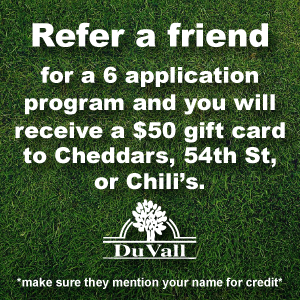 If you have any questions or concerns please feel free to call us at 816-662-2222 or 1-800-723-4142 or Email Us.